Happy Saturday, dear readers! I hope this post finds you well and you have been enjoying the weekend thus far. I didn't get to sleep in today as I had hoped, but there is always tomorrow! A girl can dream, right? 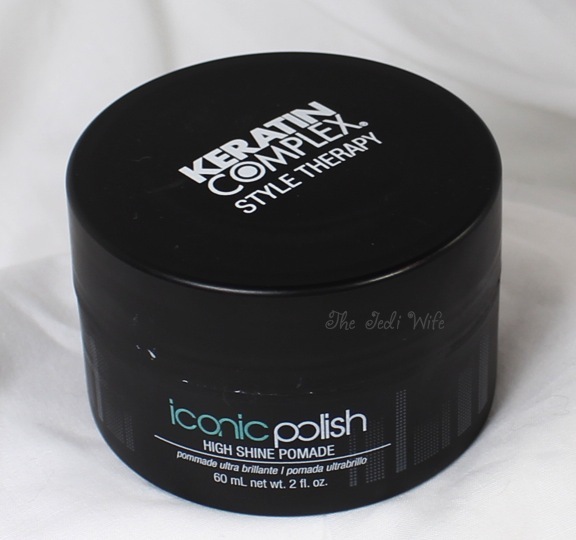 For today's blog post, I wanted to share with you a new hair product from Keratin Complex. You already know that I have a love for nail polish, but did you know that I'm a big fan of hair products too? Many years ago when I had long hair, I rarely bothered with any special products beyond shampoo and conditioner, but once I cut my hair super short, I realized that just would not work for me any longer. Short hair suits my personality more, and I've kept it short ever since. My collection of hair products has grown substantially, no pun intended, and I am always game to try out new products! 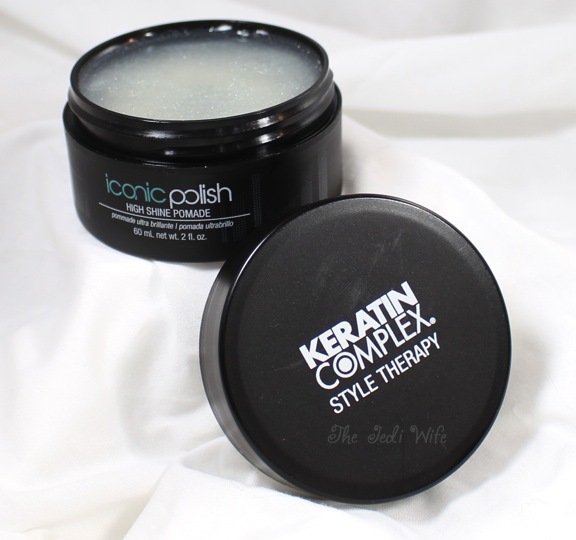 Keratin Complex is a market leader in professional hair smoothing, and they announced the addition of two new products to their Style Therapy Collection lineup. 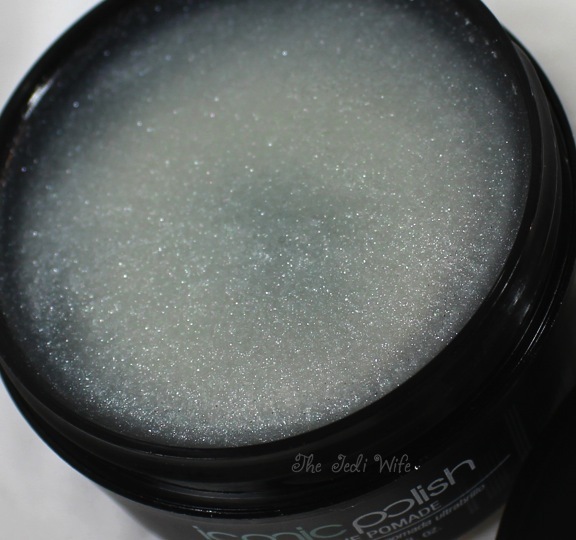 I got to try out the new Iconic Polish High Shine Pomade. Aimed at high-impact shine and maximum staying power, Iconic Polish High Shine Pomade is the ultimate multifunctional, flexible alternative to styling gels. The special blend of hydrolyzed keratin and conditioning ingredients, such as glycerin and hops extract, helps to achieve a variety of hair looks while offering instant hold and undeniable sheen. I had a lot of fun playing around with this product and trying out a few different hairstyles. To really test it out, I didn't use any other hair products to see if it could live up to its claims. The extra shine was irrefutable, that's for sure! I wasn't too sure how well it would hold, and I was quite impressed! Whether I wanted chunky twists or a smooth sleek look, the Iconic Polish High Shine Pomade was up to the task. Obviously I cannot vouch for its effectiveness with long hair, but it certainly kept my short tresses in check while adding a lustrous glow. The other new product from Keratin Complex is called MoldMe Matte Texturizing Cream. Achieve effortless texture and weightless definition with MoldMe Matte Texturizing Cream, a sulfate-, paraben- and sodium chloride-free shape-shifting cream that offers tousled, undone texture to short hair or smooth separation to longer styles. The medium-hold, pliable molding clay is formulated with a water-soluble combination of keratin and botanical extracts that work to deliver easy styling and smooth, healthier-looking strands. Hops extract helps build body and natural fullness, leaving a semi-matte finish to frizz-free, healthy hair. The MoldMe Texturizing Cream sounds like a lot of fun as well, and I definitely want to test it out! What sort of hair products do you use? Have you tried any products from Keratin Complex? I'd love to hear from you! Hey dear!! Happy Saturday to you too, you know I love long hairs! But due to my hair fall my hairs were getting thinner day by day. My hair stylist is recommending me keratin complex shampoo. Any ideas?